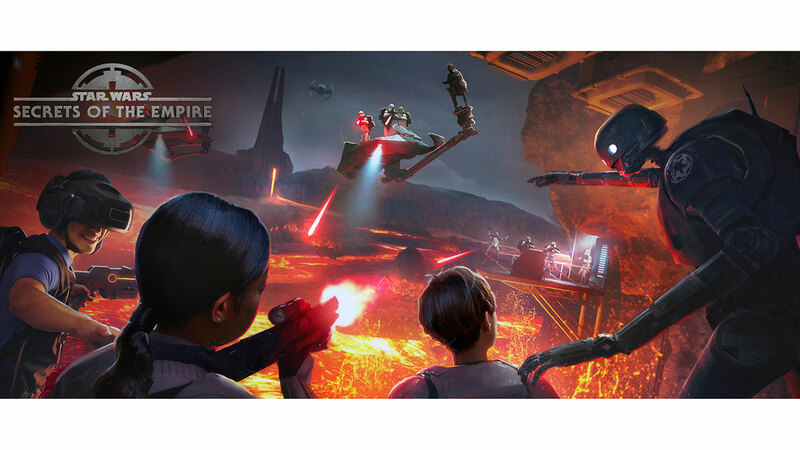 Star Wars: Secrets of the Empire VR Experience coming to Disney Springs & Downtown Disney later this year. Star Wars fans anxious for a certain new experience at Disney World and Disneyland will soon have something to keep themselves busy with until 2019. Disney just announced that they will be opening a new “hyper reality” VR experience from ILM and The VOID called Star Wars: Secrets of the Empire later this year. The Star Wars virtual reality experience will debut at Disney Springs in Orlando and Downtown Disney in Anaheim. Read on for more details. A bit of background: The VOID is a virtual reality company that specializes in what they call “hyper reality.” They craft experiences that mix real-world props and environments with digital/virtual spaces. The immersive results have garnered The VOID some pretty glowing reviews, specifically for their Ghostbusters: Dimension experience in New York. For Star Wars: Secrets of the Empire, The VOID partnered with ILMxLab, which has been exploring the possibilities of telling Star Wars stories in virtual reality for a few years. Are you excited to try a Hyper Reality Star Wars experience? Let me know in the comments below!